An institute is known by the training methodologies it uses to train its students increasing their knowledge and skillset required to brilliantly serve their respective organizations in a well-defined way. Unlike traditional training where great training meant to be limited to a great trainer only, we believe in overall excellence and provides not only great trainers, but great infrastructure, fully loaded labs, new age technologies to back theory sessions, practical workbooks, doubt clearing sessions and lot more. A Great Trainer is just a single factor to be considered, there are ten other things to be taken into consideration before choosing a training company. A great training company should not only have great trainer, but a great training methodology. We all know that CCIE has very vast scope and a great future ahead waiting for aspirants. But how are we going to make students match the industry requirements? With a Great Training Methodology! We have to make sure that a CCIE we are producing is not just a paper CCIE, who cleared CCIE exams after referring to some sample labs, and knows nothing about how network works in industry and what kind of real time problems engineers generally face. Network Bulls trains students not just theoretically, but also helps them groom like a real Network Engineer. Theoretical classes given by our experts focus on knowledge and skillset building for the students in order to make them technically strong and well equipped with fundamentals of the course. After the theory classes, practical sessions take place then and there, where the students are expected to implement and conceptually understand the technologies learnt during theoretical lectures. Not only spacious classrooms well equipped with internet facility, Wi-Fi, projectors, etc. but also fully loaded racks with live devices are available for better understanding of course’s conceptual basics. Our trainers make sure that students whilst understanding the practical working of these devices also understand the hardware configuration of the same. Live Devices/Racks plays a major role in learning, while many institutes ignore the power of practical exposure during theory training and provides devices in labs only. When Ultra-Modern Training Methodology is mentioned, it doesn’t mean we should have colorful labs and infrastructure to show off, it means we should have classrooms and labs fully equipped with new age technologies and devices to back theoretical sessions provided by experts. A Classroom should be equipped with features like Wi-Fi, Projectors, Digital Pens, and moreover with fully loaded Cisco racks which most of the institutes ignores. Labs at Network Bulls are open 24x7 i.e. you can come and access the labs anytime during day/night. There are many training companies in India offering 24x7 lab facilities, but we need to verify the fact that do they have enough devices in their labs? Most of the Cisco training institutes offer 24x7 Lab facility, but most of the time their lab is not free. Of what use are those labs which are open 24x7 but not free 24x7? 24x7 Lab facility is not limited to opening labs 24x7, it clearly means that you should have enough devices in labs so that all students gets separate devices to practice for long hours, and they should get dedicated devices throughout the training duration. Labs at NB are fully loaded with modern live practical devices: Routers, Switches, Firewalls, IPS, Call Managers, IP Phones, and Access Servers etc. making your practical sessions more comfortable and concise. Each and every student enrolled in any of the course at NB gets a separate dedicated rack for self-implementation and understanding. Apart from the anytime lab access, you even get to avail lab instructor help providing complete assistance round the clock. World class quality trainings at NB are imparted by CCIE Certified trainers who have years of industrial experience and knowledge on varied technologies of the market. 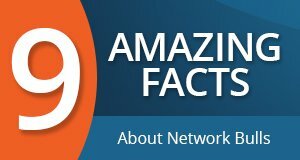 Each course like CCNA, CCNP, and CCIE have their respective certified trainers for apt knowledge and learning experience. Like you have opted for CCNA Security or CCNP Security or CCIE Security course, only a CCIE Security Lab certified trainer will teach you assuring technology specific learning. Only CCNA R&S training is provided by CCIE R&S written certified trainers, rest of the courses are taught by CCIE Written + Lab certified trainers only.  Technical Team of Network Bulls is considered as one of the best team in networking training industry. Get instant access to in-house built lab practical workbooks which help you in your lab practicals. We have our own CCNA, CCNP and CCIE workbooks developed by our CCIE Certified experienced trainers under guidance of Mr. Vikas Kumar CCIEx3#30078 as per Cisco’s blueprint available. Students are allowed to repeat the batch any number of times they want to whilst giving them the freedom to join multiple batches simultaneously. Even if you wish to take a break and join the other batch of the same course, NB allows its students with flexible timeslot where you can come back to us again whenever you want to. Theoretical lectures of each day are recorded, stored and given to our students at the end of each class so that you can refer them as per your own requirement. Another amazing facility provided to our students is access to the FTP server which consists all the recorded video lectures, eBooks, interview questions, sample practice papers, practical workbooks, etc. promoting better understanding and learning of the course. Access to NB library where students not only get course relative books but also variety of other books for self-study. Variety of self-grooming classes other than technical ones like personal development, spoken English, cv writing, speech correction, live industrial exposure by industry’s topnotch experts, interview sessions, group discussions, and many more classes shaping up the overall personality of our students. Doubt sessions are available for candidates who wish to clarify their doubts after the class or end of the batch. Trainers are readily available for solving varied queries of students. One of the striking features of our training methodology is Extra Industrial Training Classes by Mr. Vikas Kumar (3XCCIE #30078), Mr. Gaurav Lamba CCIE Security#37287 and Mr. Mohit Bhalla (Dual CCIE #42145 (R&S, Security), CCSI #34989), where students learn real time network designing and troubleshooting skills. Senior trainers at NB regularly screen students on their technical and grooming abilities, analyzing their weak points, and validating their command on the relative track so that each one of them knows where they actually stand in terms of subject knowledge and skillset. Weekly batches are available for anybody who has time to give 5 days in a week to training of his/her preferred course. Be it a student, a professional, graduate, post graduate, or anybody for that matter, everybody can opt for our weekly classes. Weekend batches on the other hand are usually preferred by students who wish to take placement from us after completing their course respective training and join us again by taking up weekend batches for lab practice or up-gradation. However, anyone can join our weekend batch as per his/her own preference and requirement.